On a 433A foundation! Buyer can get a conventional loan and save $$$$. 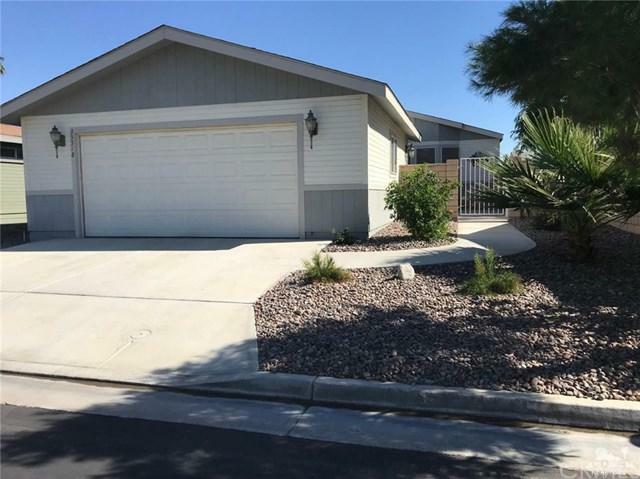 Nicely maintained 3 bed/2bath newer 2004 home w upgrades and an oversized 2 car garage- extra long / wide with insulated ceiling/fan and plenty of room for storage!! Fenced /gated yard perfect for dogs. 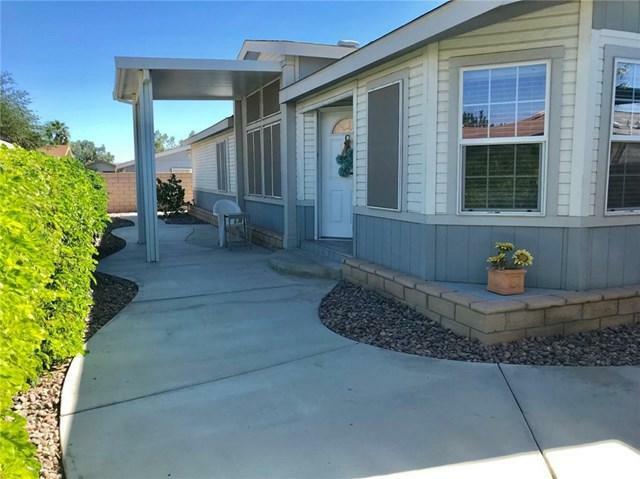 Low maintenance yard - perfect for full-time resident or vacation home. Seller has added concrete and tons of rock for easy up keep. 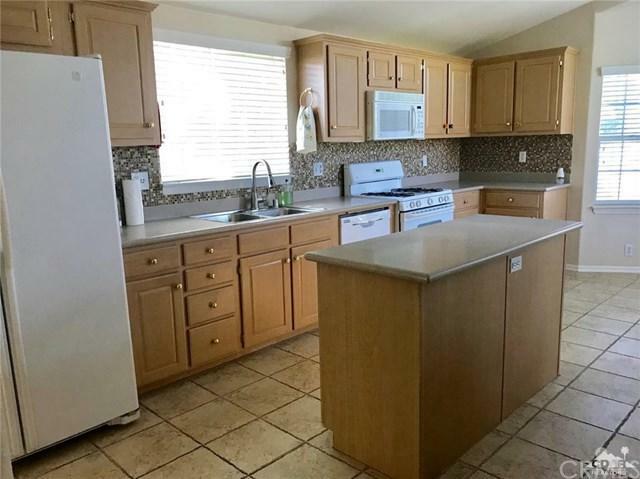 Kitchen has numerous cabinets and tiled backsplash. Four ceiling fans to keep you cool along with sunscreens on most windows. Clerestory windows brighten living area for the perfect lighting. Save $$$$ on utilities with IID and lower rates. 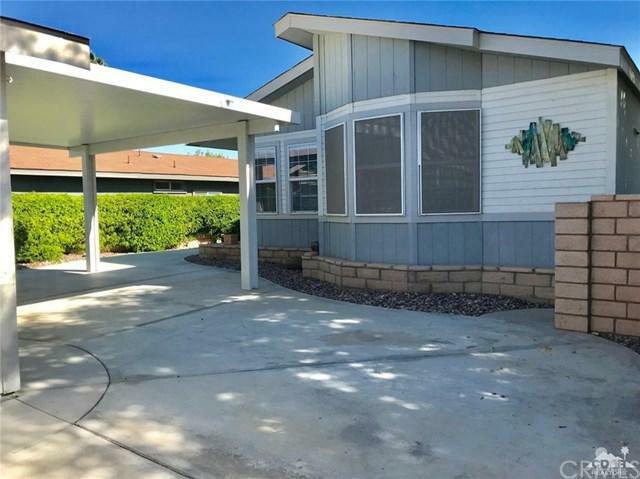 Low HOA of $234 and you OWN the land! Clubhouse with fitness center, seasonal restaurant, golf, tennis, banquet room, 4 pools and 2 spas plus many activities for you to enjoy. CableTV and trash are also included with dues. 9 hole regulation size golf course in 55+ community. Buyer to verify all information. Come join the fun! Sold by Denise Francis of Coldwell Banker Res. Brokerage.